A grant to D’Youville College will transform space on the West Side campus into a “living laboratory” to promote classroom engagement and creativity among students at Leonardo da Vinci High School, while helping D'Youville researchers understand how to create an active learning environment. Da Vinci, with roughly 400 students, is located in Madonna Hall at D’Youville and the new “Active Learning Center” will be in ground floor space connecting the high school and college. 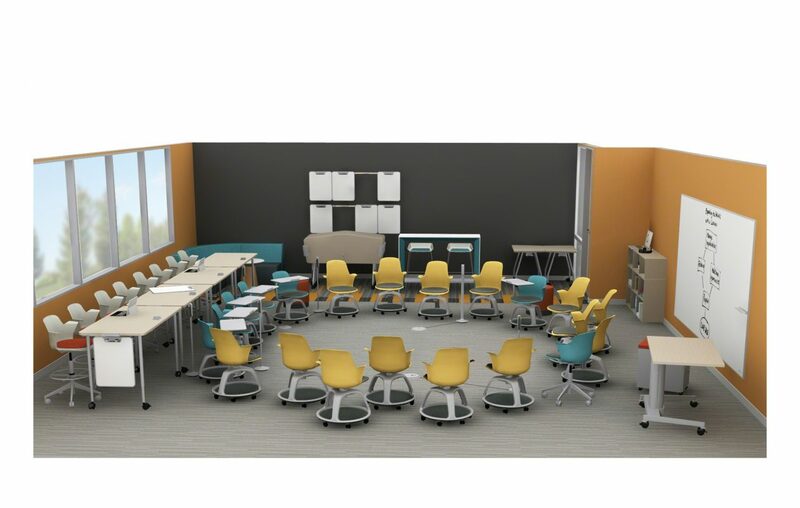 The grant, valued at up to $67,000, is from Steelcase, a Michigan-based manufacturer of office furniture, and includes furniture, design review, installation and onsite training, according to the company. It received more than 1,000 proposals, but awarded only 12 grants, including D’Youville's. D’Youville and district officials made the announcement Thursday.